Free Bad Check Collections provides all types of Businesses with a FREE Automatic and Effective Bounced Check Recovery Service. This enables you to manage your business without the time and hassle of bad check collections. Electronic NSF Bad Check Collection coupled with a traditional collection for those returned items where electronic collecting is not possible. We collect your bad checks nationwide in all 50 states and provide the highest and fastest bad check collections with the incomparable reporting tools and unparalleled customer service. Success is measured by client satisfaction achieved. 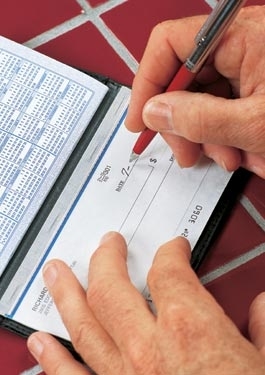 The bounced check writers pays for our check collection service, not you. We get paid when you get paid — so clearly — we have incentive to succeed for you. We’re not happy until you are! Keeps Customer out of the collection business. All returned checks are handled automatically. Recovers 100% of the face value of the check. Significantly enhances check collection Rate of Recovery. Improves cash management by recovering funds faster. Our competition can take 7 to 14 days longer to collect because they use 3rd party clearinghouses. Faster routing with Consolidated ExpressReturn service which may provide an enhanced rate of recovery. Earlier notification of returned items. Reduces internal staff time and expense of bad check collections. Provides 24/7 real-time, on-line access to all checks being collected. Our proprietary, web-based reporting is unparalleled, leaving the competitors scrambling to attempt duplication. Automatic e-mail notification on all returned items. No phone calls to make! Try us out and see for yourself why people are switching to us for their Bad Check Collection Needs! There are no long term contracts only month-to-month agreement and no cancellation fees if you decide to cancel your agreement at any time. Please feel free to contact me if there are any questions that you may have. "Download & Print Agreement Form"
Subpages (3): Contact Services Why Us?